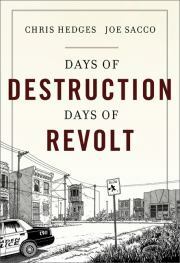 I'm reading Days of Destruction, Days of Revolt by Chris Hedges and Joe Sacco. Originally posted at A Life Beyond Money. One of my favorite practically free meals is Trash Chili. Don't let the name gross you out; it's actually a tasty meal. Vermont is a New England oasis, offering beautiful scenic views of its Green Mountains and expansive forest lands. Visitors can come to ski, hike, learn about the state's Native American history, shop for antiques, or more. A Vermont vacation offers a serene getaway that helps you get back to nature and feel restored. Originally posted at Back to the Basics! Winters coming and I'm getting the garden going. Well I have started my winter garden. I've got tomatoes, cucumbers, greenbeans, and wax beans. I also have some carrots and lettuce that needs to get started. And I just got my key lime tree in the mail yesterday. Can't wait for that to start producing. I've also been thinking about trying my hand and growing a grape vine in the house too. That should be fun. This evening I made a batch of Coffee Soap. For the liquid in the lye solution I used a strong brew of coffee. The coffee helps in removing odors from your hands. As you may know, October is Breast Cancer awareness month. Is anyone else out there a fan of Ashley English of Small Measure or Jenna Woginrich of Cold Antler? 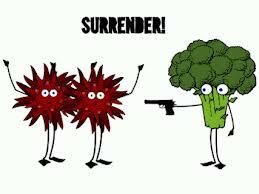 I’ve been considering two principles of permaculture this week: Distribute the Surplus and the Problem is the Solution. The first is easy—the second, not so much so. Please check our my latest blog entry on canning Salsa Fresca with Green Tomatoes. Great fresh too!